Charities strengthen our community in a thousand ways and volunteers do their best for their cause. Being a nonprofit is complex and following the legal and financial regulations can be confusing. If nonprofit groups fail to take care of their business properly, the entire organization is in jeopardy. 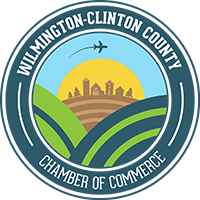 The Clinton County Foundation, in partnership with Leadership Clinton, is hosting a seminar on nonprofit governance on Tuesday, August 15 from noon to 2 p.m. or 5:30 to 8 p.m. The trainer is Beth Short, a member of the Ohio Attorney General’s Charitable Law section. This training will include a review of the basic requirements all charitable organizations have and provide easy-to-follow tips for board members who try to do their jobs responsibly in order to protect the organization and the beneficiaries of the group’s efforts. “This is the first time the Attorney General’s office has presented nonprofit information in Clinton County. We are pleased to help our community understand the requirements and obligations of nonprofits. Anyone who is a volunteer, runs a charity or sits on a nonprofit board should come—this is open to the public and free,” said Jan Blohm, Executive Director for the Clinton County Foundation. Beth Short, who handles outreach and education for the Ohio Attorney General’s Charitable Law Section, has spent her career working for and with nonprofit organizations. Her passion for the nonprofit sector is evidenced by her professional and volunteer background working with charities as a staff member, board member, consultant and volunteer for large and small organizations. She brings a background in journalism, legislative and public affairs and training, complemented by a master’s in business that focused on nonprofit management issues. Her work in the Charitable Law Section focuses on the development of strategies aimed at strengthening the nonprofit sector. She is a graduate of the Ohio State University and Ohio University. The first seminar from noon to 2 p.m. will be held in the Wilmington City Building’s Moyer Room. The second seminar from 5:30 p.m. to 8 p.m. will be held at the Wilmington Public Library. Both seminars will cover the same information, but gives our community a flexible option to attend. “This is so important that the Foundation wanted to be sure that our community had the opportunity to hear this information and to ask questions,” said Blohm. Registration for either seminar may be made by emailing Jan Blohm at blohmj74@gmail.com or calling the Foundation’s office at 937-566-1634.